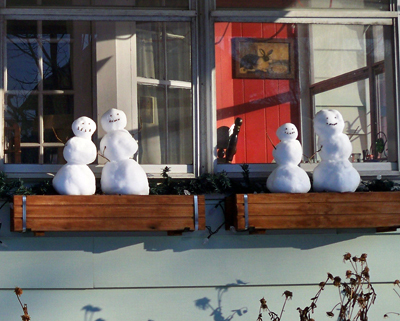 It was time to take the Christmas decorations out of the window boxes, but they looked so empty afterwards. 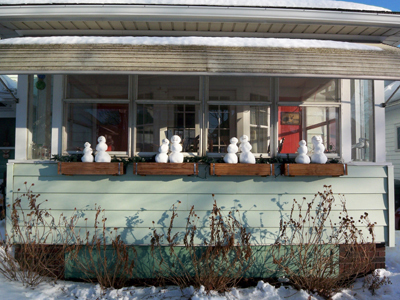 So Aaron and I made mini snowmen for each window box. They have little stick arms and clove faces. 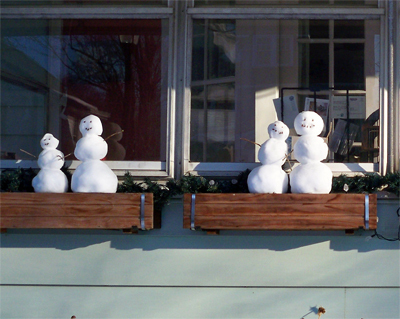 I think they make the window boxes look soc cute. These look like Aaron and I. 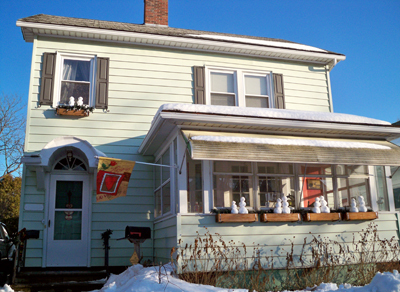 We even put two in the upstairs window box. See Stewie inside glaring at them? j-this is so rad! i'm going to have to copy you! 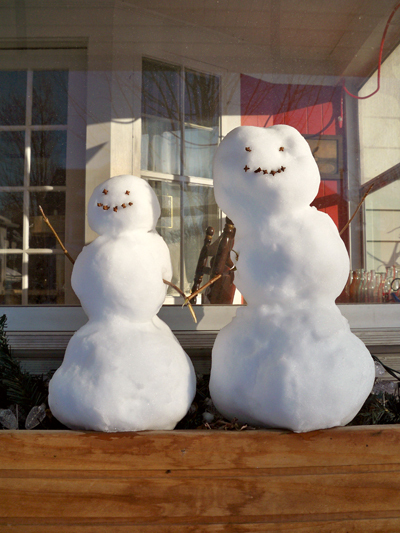 what a perfect way to sweeten up the tired window boxes just sitting there doing nothing in the cold! you rule! these are hilarious -- and brilliant! 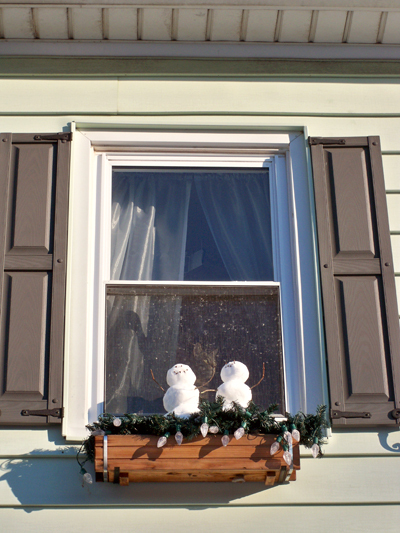 what a wonderful, funny, and economical way to dress up your windows. 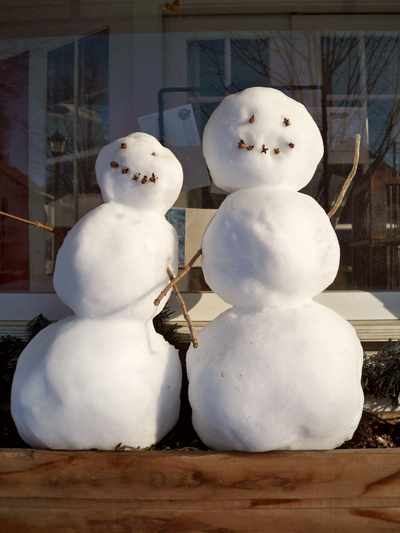 haha snowmen always remind of Calvin and Hobbes. 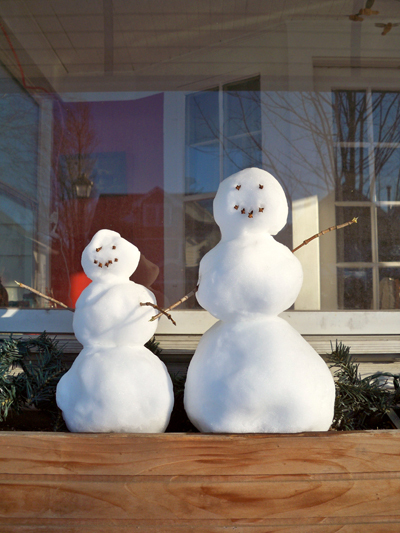 Making a snowman is on my bucket list. It IS brilliant - girl, you should totally pitch this as an article to Hallmark magazine, or some such. That's a nice layout right there. Now I need to haul some snow up to my balcony and make a snowman! Those are adorable! What a fun idea! I see you still have the lights up. I would love to see a photo of them with the lights on in the evening. so adorable! They are all so sweet. 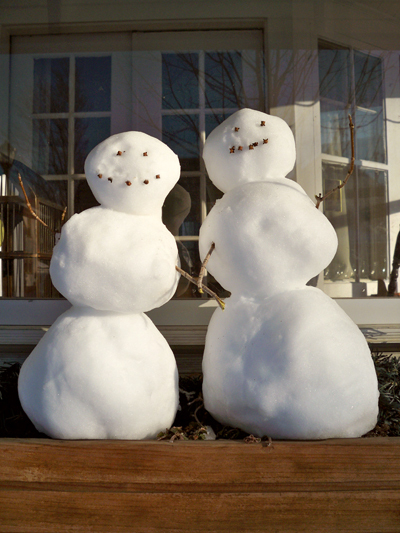 Why haven't I ever thought to make mini snowmen before?? Jeez! I love them.